→What Are The Dangers of Hydroquinone? 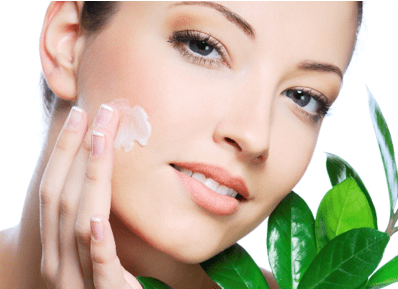 Which Products is Hydroquinone Used in? What do Health Officials Think About Hydroquinone? Maria back again with another relevant and controversial topic that many people are ignoring. Today we're seeing the rise in users searching for skin lightening/bleaching treatments and many fall victim of not having conducted thorough research into the ingredients in the products they purchase. Today we discuss hydrooquinone, what it is, the dangers and why it is banned in so many countries. Contrary to its popularity and many brands peddling it for profit, we've decided to take the unpopular approach to help you make a much better buying decision. In addition, we'll include our recommendations and what is effective in April 2019. We get it, everyone wants beautiful looking skin, but the natural aging process isn’t always kind. If you want to retain a youthful appearance even into your twilight years, it is important to use the right skincare products. Many people use hydroquinone to achieve brighter skin, but is it really safe? It is important that you get all of the necessary information before you make a final decision. The last thing you want to do is use anything on your skin that could end up doing more harm than good. Hydroquinone is a common active ingredient that is found in a lot of skincare products that are designed specifically to lighten the skin. It essentially minimizes the amount of melanin that you produce, causing a brightening effect with the top layer of the dermis. Melanin pigments are what is responsible for our skin’s tone and color. The only way to reduce melanin production is to keep the melanocytes in the body to an absolute minimum. The most common use of hydroquinone is to treat hyperpigmentation, though it has also been found to be effective at reducing sun spots and acne marks. While it was once believed that this substance was safe to use in limited amounts, many people are now claiming that it can be quite dangerous. There is quite a bit of scientific research to back up these claims. If you are thinking about using a brand with this ingredient to brighten your skin, you will need to know about the risks that come with it. It has been a common ingredient in many different types of skincare products for years now. While it can work well for many people with hyperpigmentation and other issues, it is the safety of the ingredient that is in question. Up to 4% is considered "safe" to use but there's good reason it's been banned in many countries. A lot of people use products with this ingredient in it every single day, and many of them have experienced mild to severe reactions. Just because a certain ingredient is effective doesn’t necessarily mean it is entirely safe to use. With the popularity in obtaining whiter and brighter skin, there has been a surge in the amount of people who are attempting to replicate their favorite celebrities results. In a journal titled 'Toxicology and health risks of hydroquinone in skin lightening formulations' by Kooyers & Westerhof (2005) they concluded that the risks and longer term implications which include cancer should not be ignored. Their evidence suggests that the risks are more severe than anticipated and aim to see this ingredient completely removed as a skin lightening agent. 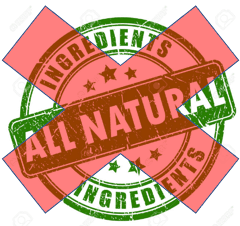 Their is enough confidence in the evidence to suggest that our readers should avoid products that contain this ingredient, irrespective of whether they work or not. For this reason, we tell our users to use products such as meladerm by civant. A majority of the skincare products that hydroquinone is found in consist of skin lighteners, bleaching creams, and general anti-aging products. This ingredient is usually only used in small amounts due to its high volatility. Even some hair conditioning products have it in them. The reason that it can take so long to begin noticing results with these products is because of the small percentage of the ingredient in them. Some of the different products that have this ingredient in them include PCA Skin Pigment Gel, Porcelain Skin Lightening Day Cream, Vivant Skincare Bleaching Serum, and Clinician’s Complex 6% Bleaching Cream. There are many other skincare products on the market that use hydroquinone, so you need to do your research before buying anything. You should be able to see if any given product has this ingredient by simply looking at the label. Not everyone reacts to this ingredient the same way, so the negative effects can vary depending on the user. When you learn about the dangers and risks associated with hydroquinone, you can make an educated decision as to whether or not you are going to use it. Below we have highlighted the major risks and side affects, however these are by no means the list in its entirety. It is with good reason that this substance has been banned in many countries, even requiring a prescription in many of the countries it is available. There have been reports of numerous people experiencing problems with ochronosis as a result of using skincare products that include hydroquinone. 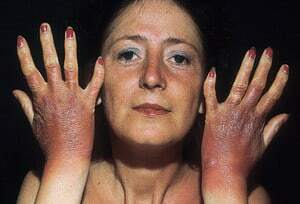 Ochronosis usually presents as bluish black discoloration of the skin. 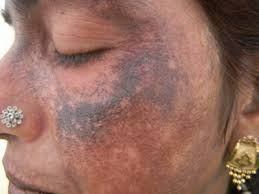 Most people who have this reaction use bleaching creams that include hydroquinone as of their active ingredients. This condition can cause yellow or brown bumps as well as thickening of the skin. 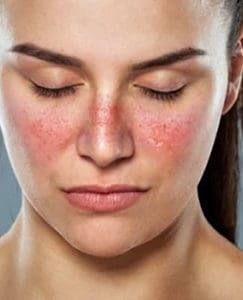 If you notice any of these symptoms, you should stop using the skincare product immediately and see your dermatologist. Research has discovered that those who use skincare products with hydroquinone in them for prolonged periods of time are more likely to develop dark areas on their skin. This results in people using even more of the products in an attempt to lighten their skin, and the cycle continues. One of the worst things about hydroquinone can do to the skin is to make is weaker, which happens over time. The weaker the skin gets, the easier it is for the hydroquinone to gain direct access to the bloodstream. This can have an adverse effect on the kidneys and liver. Another common symptom that people use hydroquinone on a regular basis experience is photosensitivity. Those who experience this symptom become more sensitive than usual to sunlight. If you are using a skincare product with hydro-quinone in it, overexposure to sunlight can lead to severe burns and chapped skin. If this image alone doesn’t make you aware of the dangers of this product, then it’s unlikely anything else will. 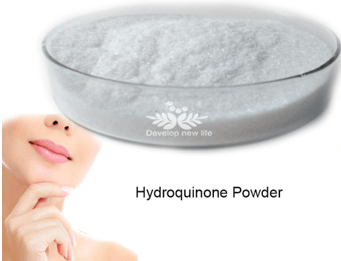 Scientific research has determined that hydro quinone can potentially have a carcinogenic effect on humans. Lab rats were given this ingredient in high doses through a feeding tube, and some of the test subjects contracted cancer as a result. So far there haven’t been any of these cancer-causing properties found in any oral or topical products containing this ingredient. Again, this is something you should avoid where possible due to these scientific findings. If you’ve ever suffered from an allergy you’ll be aware they’re in no way pleasant to experience. 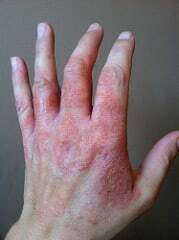 While allergic reactions to this do sometimes occur, it is very rare. Some of the more common signs of an allergic reaction to this ingredient include difficulty breathing and swelling of the throat, face, or mouth. If you start experiencing any of these symptoms, it is important to seek medical attention right away. 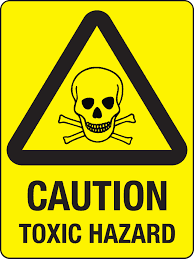 The reason that so many people are rallying against the use of it in skincare products is the fact that it can be toxic to humans. It is a cytotoxic substance, which means that it can be damaging to the cells. A person would have to use extremely high amounts of it to experience these toxic effects, but it is still a possibility. Certainly an extreme case but nonetheless something to be aware of. Hydro quinone can cause general irritation to the skin, presenting in the form of itching, redness (rash), and even burning. 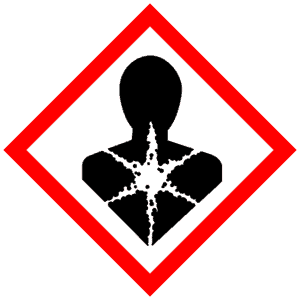 Some people are more sensitive to this ingredient than others, so the severity of the irritation can vary greatly. It is not uncommon at all for people to experience this problem when using a skincare product with even small amounts of it. Be conscious of the risks involved and consult a GP/dermatologist if you experience any of these mentioned side effects. The most effective way to make sure you don’t accidentally use a product with hydroquinone in it is by taking a close look at the label of each one you are interested in buying. The list of ingredients on all skincare products will tell you exactly what is in them. You should never use any product before you know the ingredients and information in its entirety. Skin lighteners that have a lot of chemicals in them tend to be the most dangerous, so it’s best to avoid them. Opt for a treatment with natural ingredients, this way you'll highly mitigate the risk of encountering any of the above risks. Many bleaching products and spot treatments also use potentially harmful chemicals. It’s always better to seek out natural treatments, as you won’t have to deal with all of the negative effects. 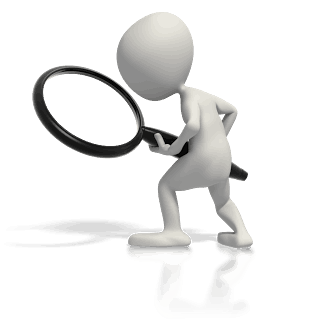 Carefully examine the ingredients of any product you purchase. 100% natural ingredients that you can use to lighten your skin. This is completely safe and effective and doesn't contain hydro-quinone. Our top pick out of all our rigorously tested creams is this skin lightener. We've conducted research in to the top ways to lighten skin natural using numerous methods, included below. Our comprehensive guide includes 17 of the best ways to achieve results, without having to put your skin in contact with hydroquinone. Once you start looking into natural treatments for hyperpigmentation and other skin problems, you will find that there are quite a few. Some of the most effective of these remedies use neroli oil, lemon oil, lemongrass, and vitamin C. All of these things are very good for your body, and they can most likely do wonderful things for your skin. These days more and more people are turning to natural skincare solutions because of how well many of them work. Vitamin C is one of the most basic but effective ingredients for natural treatments for different skin problems. This vitamin is packed with antioxidants, and it can have a very noticeable lightening effect on the skin. Those who suffer from acne sometimes find that this ingredient can be very helpful in reducing inflammation and bacterial infection of the pores. There are many different ways to use vitamin C to treat your skin. Just eating more foods that are high in this vitamin can do the trick. Below we have outlined the major alternatives to be aware of. Vitamin B3 combined with licorice extract can be particularly effective at lightening the skin naturally. You can create these natural remedies at home quickly and easily. One of the best things about natural skincare treatments is that they are much cheaper than the products you buy online or in drugstores. Azelaic acid is another good natural treatment for those with acne marks as well as hyperpigmentation. It has some powerful anti-inflammatory and anti-bacterial properties, so it can help keep the skin healthy and looking good. Those who have problems with blemishes on their skin will certainly want to explore this option. Lemon is one food that can really help with repairing skin and making it look noticeably better. You don’t want to use lemon for spot treatments, but it can be a useful ingredient for treating dark areas on the skin. There are many natural remedies that utilize this fruit because it is so high in vitamin C and certain acids that are beneficial to the skin. Bearberry extract is completely natural and has also been proven to be quite effective at treating dark spots and marks on the skin. Even those with scars and freckles can potentially get some amazing results from using bearberry extract. A lot of natural skincare products include this ingredient because it can be so powerful and effective. Kojic acid is known for its healing abilities for the skin. It is important that you consult your dermatologist before using this treatment method, as it can cause some irritation for those with very sensitive skin. It is recommended by doctors for those with melasma, though it doesn’t work the same for everyone. If you happen to have hyperpigmentation, this could be an effective natural remedy. Licorice root extract is one of the best natural ingredients for treating a wide range of skin problems, including rosacea, eczema, and hyperpigmentation. If you have damaged skin that you want to start repairing, this is definitely one ingredient to look for. It has powerful antioxidant properties that can really work wonders on the skin. Those who want to lighten their skin will find that licorice root extract can be incredibly helpful. A number of health officials from all over the world have weighed in on hydroquinone and its potentially harmful effects on the human body. The United States Food and Drug Administration has openly regarded this ingredient as inherently dangerous, especially in large doses. They do not recommend that people with hyperpigmentation use products with hydroquinone in them. Hydroquinone has been banned for sale in many countries throughout Europe because of the health risks that are associated with it. Hydro-quinone 4% skincare products can only be obtained with a prescription from a doctor in the United States. Hydroquinone can certainly work well to lighten skin and treat different skin problems, but it’s certainly not without its risk. There are many natural alternatives that you should explore before getting a skincare product with this ingredient in it. While it can be relatively harmless in small doses, not everyone reacts to the ingredients in the same way. You will always be taking a chance, so it’s better not to do it in the first place. Make sure that you check to see which skincare products have this ingredient in them so you know which to avoid when shopping around. Although we do highlight that this ingredient is successful in reducing the production of melanin in the skin, it definitely comes with implications and major risks. It is for this reason, along with skin whitening injections that we highly recommend avoiding these potentially dangerous solutions. Instead we highly recommend using natural solutions and creams (like the top 5 listed here) as a much safer alternative to effectively achieve brighter skin.